Head of webspam, Matt Cutts announced in his personal blog mentioned that he is going to take at least 4 months of personal leave from work. Readers usually consider Matt Cutts as the man who heads the entire webspam team and who has the ability to wipe off a business from Google search with a single tweak in algorithm. He also wrote that when he joined Google, both he and his wife agreed that he would work for at least 4-5 years but now after spending almost 15 years with Google, he’d like to be there with his wife. He is well aware of the fact that his wife would want him to be around both physically and mentally. 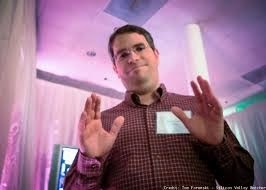 Now the question is for how long will Matt Cutts be on leave? Well, unlike his recent breaks from the online community, Matt disclosed that he wasn’t looking to embark on the 30 day challenges. Instead he would be taking a leave for a couple of months so that he can finally make good on an agreement that he had made with his wife when he first started working in Google. Cutts, this time will make sure that he doesn’t check a single e-mail while he will be on leave. Things on his leave routine will be taking a cruise, going on a ballroom dancing with his wife, spending a lot of time with his in-law family and also doing half ironman. Sounds interesting for him! Whether or not this is a suspension by another name or a gentle push, there are certainly few people who will be mourning during the few months Matt Cutts will be on leave. Just a few days back Jason Calacanis accused Matt Cutts for killing his business start-up Mahalo and putting around 80 Americans out of work. But Matt Cutts replied with a grin saying that they didn’t have a penalty. The Panda and Penguin algorithms of Google is usually controlled by Matt Cutt’s team and their aim is to monitor for spam links and content. The company won’t give a single hint at the rules that govern the change in the algorithms and on the other hand such algorithms have a massive commercial impact. Under the rule of Matt Cutts, there have been some strange incidents. For example, when Google bought Nest, its competitor Vivint was called off from Google search and they spent months wondering what they did wrong to face such consequences. The web publishers usually don’t speak on record for fear of being scolded by the webspam team. However, it is pretty clear to notice their extent of frustration on the lack of transparency within the team and the fact of being bullied by Google. There is grotesque power imbalance that has developed within Google. According to their opinion, Cutts is only good at offering vague speeches. While he doesn’t explain his rules, he treats people like roadkill. Google always has the reputation of dealing harshly with the concerns of the publishers and Matt Cutts has also followed the footsteps in reacting in the same way.